Regrets, I’ve had a few. But then again, none to do with gaming. Well, most not to do with gaming... but certainly not all. Everyone has their own top ten so let us know if you can top any of these! Buy cheap, pay twice. It’s always terrible when you don’t take your own advice, isn’t it? 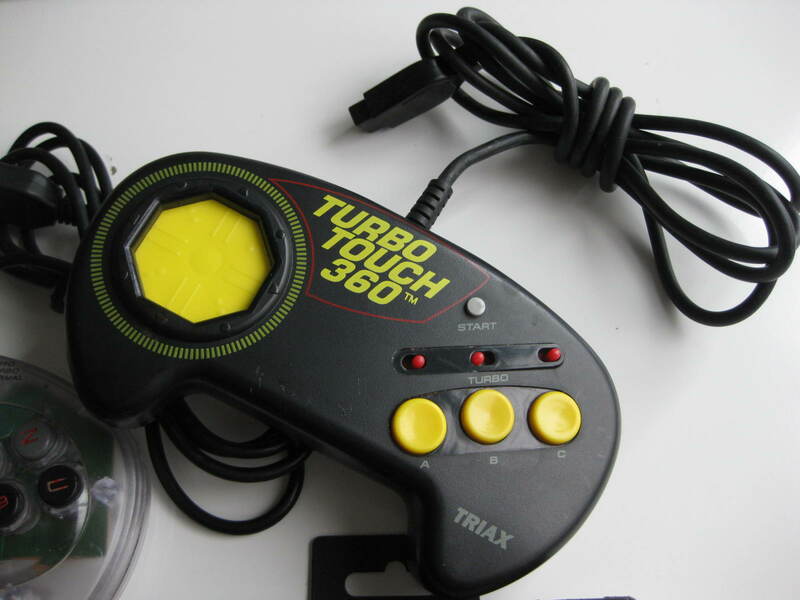 Shoddy designs, sticky buttons, random turbo triggers. Pads that just don’t make sense. But the official pads cost twice as much! Yeah, there’s a reason for that. Children, as they say, can be cruel. Teenage boys are no exception. In a primitive adolescent ritual, my gaming circle developed a tortuous rite of passage for wrestling games where anyone joining a Royal Rumble (think a massive free-for-all with 30 fighters at a time) would be set upon if their randomly-chosen character happened to be different. Giant with a clown mask? That’s fine. Bloke with eagles painted on his face? No problem. Disco Inferno? YOU A LONG WAY FROM HOME CITY BOY. Although it was supposed to be technically impossible, one time poor Disco practically died. He just didn’t get up after repeated chair beatings. Oh well! Boys will be boys! Stop! Stop... he's already dead. The cliche of the racing “modern world” is well worn but, for most of us, probably quite true. Games provide an opportunity to stop and smell the (virtual) roses but, in so doing, you run the risk of never actually finishing them. So there’s a fine balance to maintain which this reviewer manages quite poorly. In Fallout: New Vegas I rushed straight to the Strip despite a million NPCs warning me of the dangers en route - frankly it made the trip a mission in and of itself. On arriving I felt a little remorse at having effectively jumped to the end-game section. Sure, I could backtrack, but it’s like nibbling your pudding before the main. Who’s hungry now? Shout it from the rooftops - MORTAL KOMBAT!!! The clarion call of my youth, this advert crashed onto the shores of Middle England in the 1990s and fury erupted across the tabloids about the corruption of our young’uns. Of course, this meant everyone in the target audience wanted the game. Who would have guessed? Shame the finished product was, to be fair, a pretty poor beat-em-up (notwithstanding the much improved sequels of the franchise in general). An oft repeated trick for violent games with crappy mechanics - Manhunt anyone? What could be better than having Dr Kimble as your sidekick during the zombie apocalypse? GET TO DA CHOPPER! Perhaps less a sign of remorse and more a symptom of my father’s lackadaisical attitude to not showing me horror films at a tender age, I like to be scared. Japanese horror films? Check. Haunted house stories? Yes please. Terror-inducing survival horror games? Chec- actually, no. I can’t hack it. It’s just too much. I got five minutes into Amnesia before quitting like a big sissy. Slender didn’t even get installed (although I did brave the YouTube videos, hero that I am). I know I’m missing out, but I’ve had enough dreams about ten-year old Japanese children with black pools for eyes slowly lumbering their way across a room while the lizard part of my brain shouts NOPE NOPE NOPE. Let’s play Harvest Moon instead. NO, I DO NOT HAVE A MOMENT TO TALK ABOUT MY HOME INSURANCE NEEDS. 2. Just one more turn? You know a game is addictive when the Quit Game screen taunts you with this message. Of all the Civilization series - and I have loved them all, from the first blocky foray to the modern masterpieces - Civilization III had perhaps the biggest effect on my life. Why, I hear you cry? I was at university when it came out of course! It could have been worse, but let’s put it this way - it’s probably a good thing there was no Steam tracking my gaming time. I know this essay’s due but GANDHI BACKSTABBED ME AND HE MUST PAY. Yes, this actually happened. It was twenty years ago. The scars run deep. And now it will never happen. RIP you wonderful, bonkers man.